The RLS Museum staff is happy to be able to present a variety of PowerPoint Lectures to your group or class – either at the museum or at a site of your choosing! 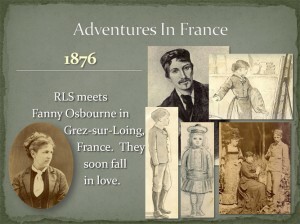 Whether you’re interested in learning about RLS’s connection to the Napa Valley or would like an in depth examination of his life, works or travels, then we have a prepared talk ready to present to you. Just contact the museum and our staff will be happy to schedule a presentation. This is an in depth look at the life of famed author Robert Louis Stevenson. Be transported around the world through the Stevenson family’s adventures, and learn some of the secrets that went into developing Stevenson’s classic works Treasure Island and Strange Case of Dr. Jekyll & Mr. Hyde. 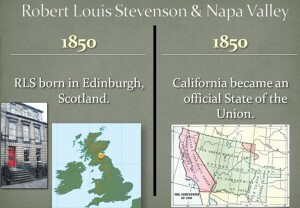 Learn about Scottish author Robert Louis Stevenson in parallel with events that happened locally here in Napa Valley. 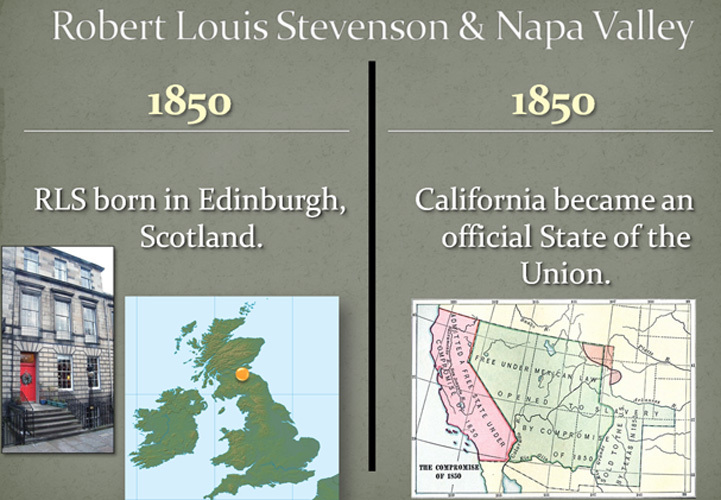 This unique talk contextualizes the overlapping history of RLS and Napa, allowing for an enhanced understanding of how Stevenson’s legacy continues to impact us today. 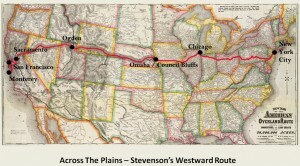 This illustrated talk focuses on author Robert Louis Stevenson’s trek from Scotland to California in 1879 and what happened to him on this life changing visit to the Golden State. 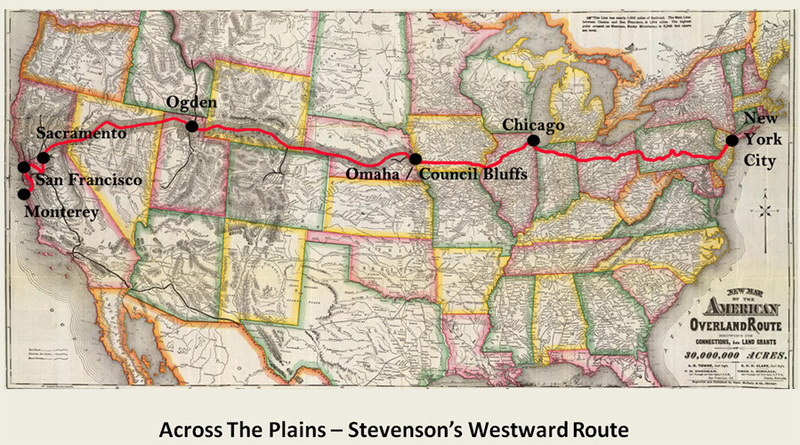 Our journey will encompass Stevenson’s time on the transcontinental railroad and in Monterey, San Francisco, and Napa Valley. 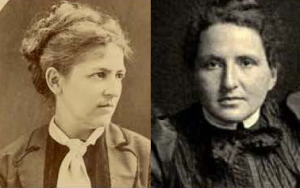 This unique presentation compares the unusual Napa Valley vacations taken by two literary legends – Fanny Stevenson and Gertrude Stein. While these two Oakland residents did not know each other and had very different experiences here, their accounts of what the Valley was like in the 1880s are not to be missed. This photo filled PowerPoint presentation ends with a short reading of Gertrude Steins’ “The Birth of a Legend,” a paper she wrote while attending Radcliffe about her visit to Aetna Springs.